Influential Practitioners in the United States and among the Top 40 Tax Advisors to Know During a Recession, The Ultimate Estate Planner is pleased to work closely with Bob to bring estate planners some of the most up-to-date breaking news and planning strategies for clients. He is a regular speaker on our Teleconferences and he also has a number of tools that can assist you and your clients in the estate and income tax planning process. In today’s age, it’s absolutely crucial to make sure that you have a functional website. But, as you will learn through our program, having a website alone is not enough. You need one that will convert leads into clients for you. Rather than spending hours of your own time (which would be better spent meeting with clients and doing other higher-level tasks), you should leave it to the experts. That is why we recommend the services of Integrity Marketing Solutions! Integrity Marketing Solutions is the leader in comprehensive marketing and practice development for estate planning and elder law attorneys. They have clients that range from solo practitioners and small boutique firms to some of the better-known and larger law firms across the country, including Phil’s law firm! DocuBank is a value-added client service that thousands of attorneys provide for their clients each year, including Phil and his law firm. Founded in 1994, DocuBank is committed to enhancing attorney services by providing electronic document storage and emergency access to clients’ advance directives, as well as valuable marketing benefits. Immediate Access to Directives via Emergency Cards. Along with their healthcare directives, the DocuBank Emergency Card lists critical allergies and medical conditions. Additional notes to physicians and emergency contacts are also transmitted when the documents are requested. Electronic Document Availability. DocuBank SAFE provides your clients with secure access to their complete estate plan and other important documents through a two-tiered password protected portal on DocuBank.com. Worldwide Service Accessibility. The DocuBank Emergency Card makes information and documents available wherever there is internet or fax access. Anywhere in the world. Quality with a Personal Touch. When clients call DocuBank customer service line they are greeted by a real live human being (some of whom have been with DocuBank for more than a decade), not an automated machine. Proven Results. DocuBank’s member survey shows that 93% of members agree or strongly agree that DocuBank builds their confidence in their attorney and 93% are pleased or very pleased to receive this service. For DocuBank members who used the service to retrieve their documents when hospitalized, 99% preferred DocuBank to other methods of accessing their documents, including storing them with relatives. 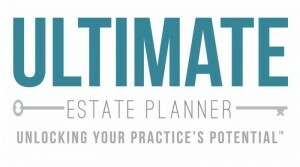 the SPECIAL PRICING available through Ultimate Estate Planner! WealthCounsel is a membership organization for estate planning attorneys that provides a number of valuable resources and tools to build and develop your estate planning practice. From WealthDocx®, a software system that will give you the ability to quickly and easily draft all of your clients’ estate plans, to its access to a powerful network of interaction and collegiality with fellow estate planners throughout the country (including listservs, state-based forums, online education, Annual Symposium, newsletters, and more! ).